St John’s Cathedral is the highlight of the Maltese Islands. However short your stay on the Islands, this cathedral of the Knights of St John is a must to visit. Described as the first complete example of the high baroque anywhere, it epitomises the role – spiritual and military - of its patrons. The austere facade is reminiscent of the fortifications of Valletta, the fortress city in which it stands; while the exuberant and lavish baroque interior shows the Knights’ deep appreciation and patronage of culture and the arts. 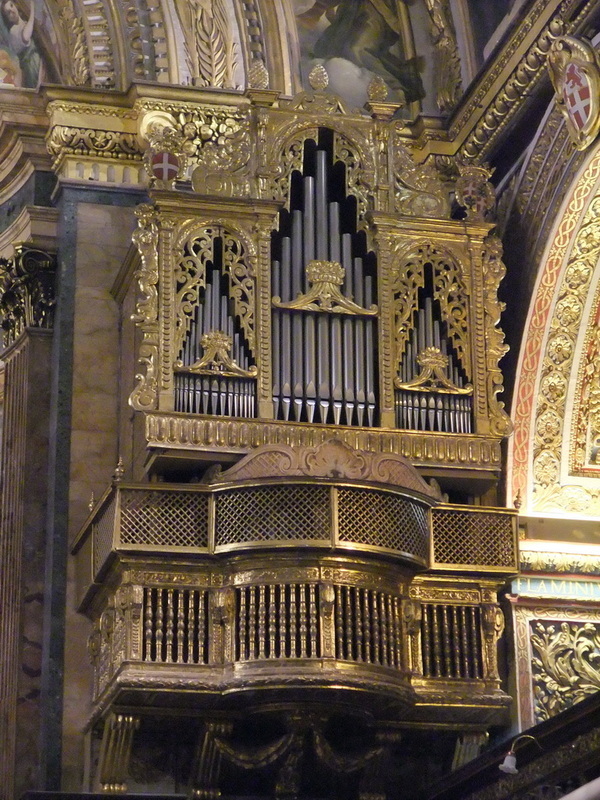 The Cathedral is testimony to the talent of Maltese military architect, Gerolamo Cassar, and to Mattia Preti, the Calabrian artist and Knight. Preti designed the intricate carved stone walls and painted the vaulted ceiling and side altars with scenes from the life of St John. 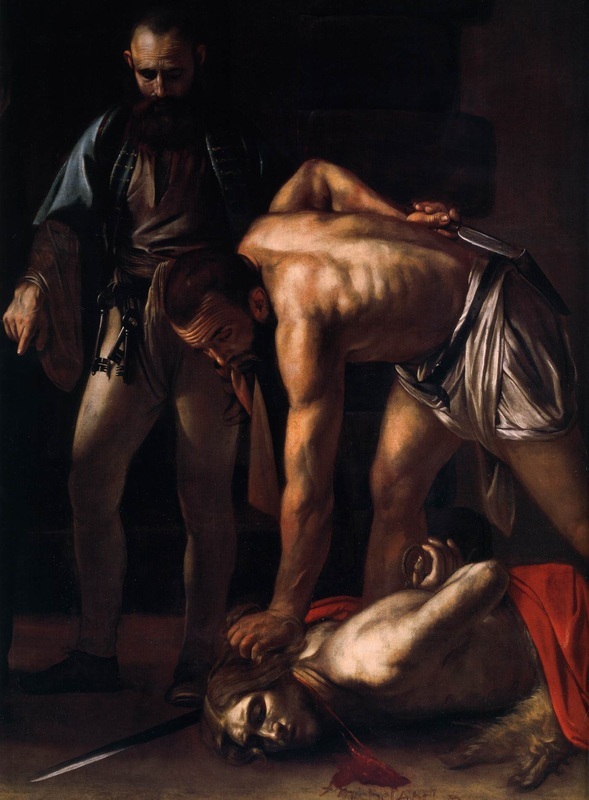 The Cathedral houses also one of Europe’s most impressive and famous art works, Caravaggio’s Beheading of St John the Baptist. The Cathedral is a shrine to the Knights in another sense. Many sons of Europe’s noble families from the 16th to 18th centuries lie buried here. Their intricate, marble-inlaid tombstones form a magnificently crafted pavimento. The inscriptions relate the story of the lives and valiant deeds of the Order. Sir Walter Scott, in Malta in 1831, called the Cathedral the most magnificent place he had ever seen. It is certainly a spectacular building and a fitting resting place for the founder of Valletta, Grand Master Jean Parisot de la Vallette. His tomb lies in the crypt, a quiet sanctuary and place of contemplation away from the busy streets outside. St John’s Cathedral was commissioned in 1572 by Grand Master Jean de la Cassiиre as the conventual church of the Order of the Knights Hospitaller of St John. It represents the most important works of Maltese architect,Gerolamo Cassar and was one of the first buildings completed (1578) in the new city of Valletta. It was to serve as the religious headquarters of the Order for the next 200 years. The name, Co-Cathedral, refers to its later, dual role. In the 1820s, the Bishop of Malta, whose seat was at Mdina, was allowed to use St.John’s as an alternative see, hence the name Co-Cathedral. The Cathedral served the Knights not only as a centre of pious religious devotion, but also as the backdrop to state occasions. For this reason, they lavished riches and attention on its building and commissioned the best of European artists and sculptors to embellish it. Mattia Preti was responsible for the magnificent baroque interior we see today. He worked from 1661 into the 1680s to complete the work. The earlier interior was probably more in keeping with the austere faзade. Preti’s masterpiece is the vaulted ceiling depicting the life of St John. He employed all the techniques of the period to create the illusion of a single, smooth narrative. Another artistic technique he executed masterfully is the tromp l’oeil effect on the series depicting the ‘Heroes of the Order’ (their history and deeds). Some of the best of the paintings in the side chapels are also by Preti. 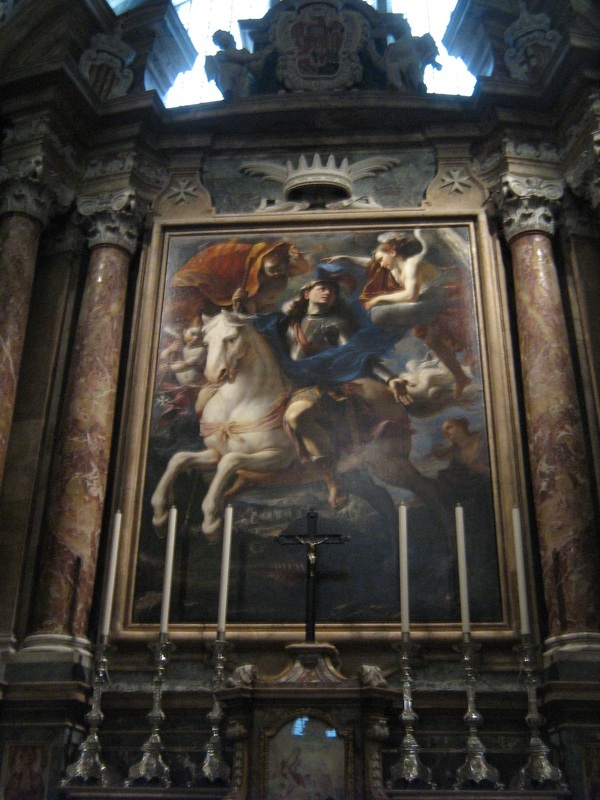 One highlight is the altarpiece of St George, identified as probably Preti’s earliest work in Malta. The side chapels themselves were allocated to each langues of the Order and are dedicated to their various patron saints. 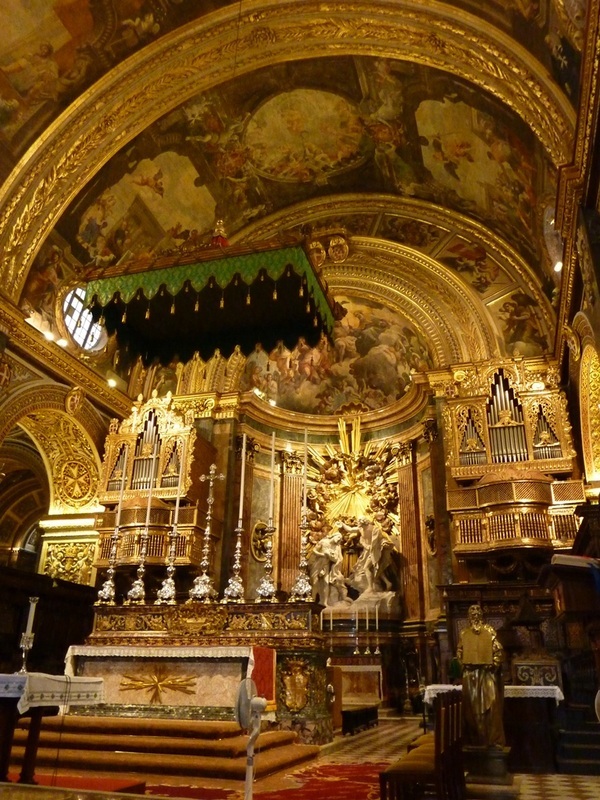 Preti not only painted the vault of the Church but supervised the intricate and painstaking carving, gilt and marble work of the central nave and side chapels. The carving is done in such deep relief that it appears almost as sculpture. The most famous works of art in St John’s are the two paintings by Michelangelo Merisi da Caravaggio (1571-1610). 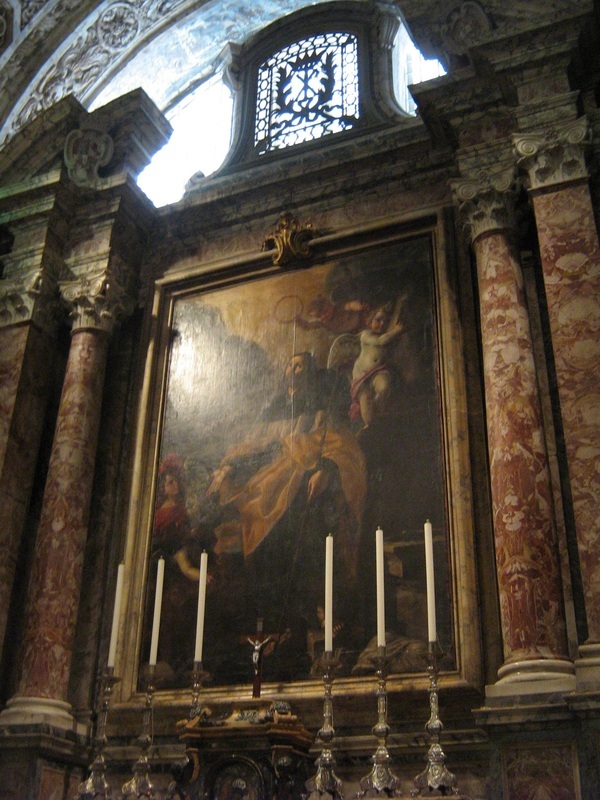 One represents Saint Jerome in the act of writing; the other, The Beheading of St John the Baptist, was commissioned as the altarpiece of the Oratory adjacent to the Church. Both are key works in the artistic development of this controversial painter. The latter has been called ‘the painting of the 17th century’ by art critics. The Cathedral’s artistic treasures do not end there. It houses some fine sculptural heritage, notably the sarcophagi of the Grand Masters in the side chapels. 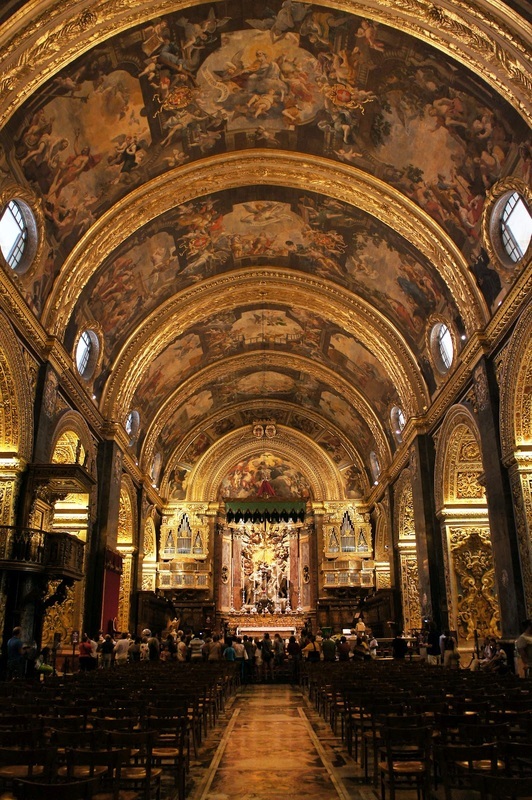 The most lavish and exuberant of these baroque monuments are those representing Ramon Perellos, Marc’ Antonio Zondardori and Anton Manoel de Vilhena. 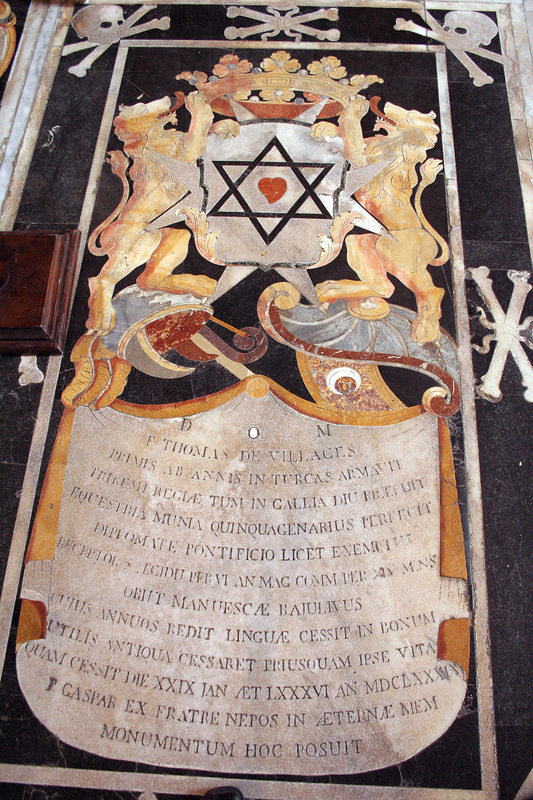 Look out also for that of the first Grand Master on Malta, Philippe Villiers de L’Isle Adam (d.1534). The marble pavement of St John’s consist of over 350 tomb stones in intricately-inlaid marble; the work of some six generations of craftsmen. These stones preserve the memory of members of Europe’s most famous aristocratic families. Although each tomb stone is an independent composition, they form an exciting and magnificent art work the length and breadth of the Cathedral. The Cathedral Museum, in the Oratory, houses Caravaggio’s Beheading of St John and a collection of religious artefacts ranging from Gobelin Tapestries based on drawings by Rubens to vestments.